Been exhausted lately, but thought you might like this image I stumbled across, if you haven't seen it the many places it has been reblogged. How's the nursery coming along? Nursery prep requires that we move out of the upstairs room, which requires that the master bedroom be done, which requires the wallpaper and vanity and lighting to be installed. The end is in sight, amazingly, but we're not there yet. 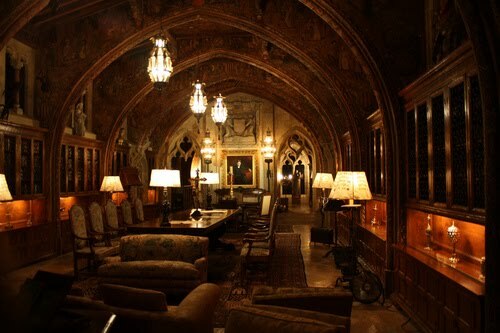 beautiful picture, I can't believe that after years of living in CA, I've never visited Hearst Castle - this inspires me to get off the sofa and drive up there! Neat photo. I relate to the chaos of moving from one room to the other, it gets crazy. Is the master upstairs or down? Please give us a photo or two if you get time, even if it's not all "perfect" yet. They're so much fun to see!